– means “Happy New Year” in Chinese. 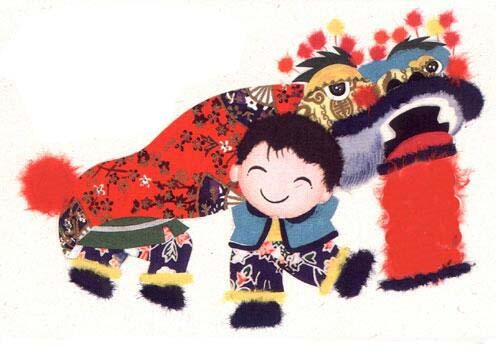 Today is the first day of the lunar calendar, the Chinese New Year. New Year is the most important holiday for Chinese people. The celebrations usually lasts for 15-days complete with colorful traditions and lots of food symbolic of prosperity, abundance and good fortune for the year. Chinese culture is indeed one of the richest in the world – it is full of traditions and superstitions all rolled in one. The Chinese lunar calendar is pretty unique in that each year is marked by one of the 12 zodiac animal. Legend has it that lord Buddha summoned all the animals to come to him before he departed from earth, and that only 12 came. So they were rewarded by having to rule a year, in the order that they arrived. It is believed that the animal ruling the year in which a person is born will have a profound influence on his/her personality because “it is the animal that hides in his/her heart.” In the same manner, the animal and its personality is supposedly a preindication of how that year is going to unfold. Year 2009, as you may know, is the Year of the Ox. Ox is symbolized as a hardworking, stubborn, strong, honest animal. While I don’t put my faith in the Chinese calendar and its predictions, I can only hope that it is right this time. With the challenges we all are facing, there is going to be hard work involved for sure, but I do pray that this year will turn out to be a year of stability and strength for all of us. Incidentally, President Obama was born on the Year of the Ox. Pretty intersting, wouldn’t you say? Here’s one of the many traditions that we have at home growing up in the Philippines. 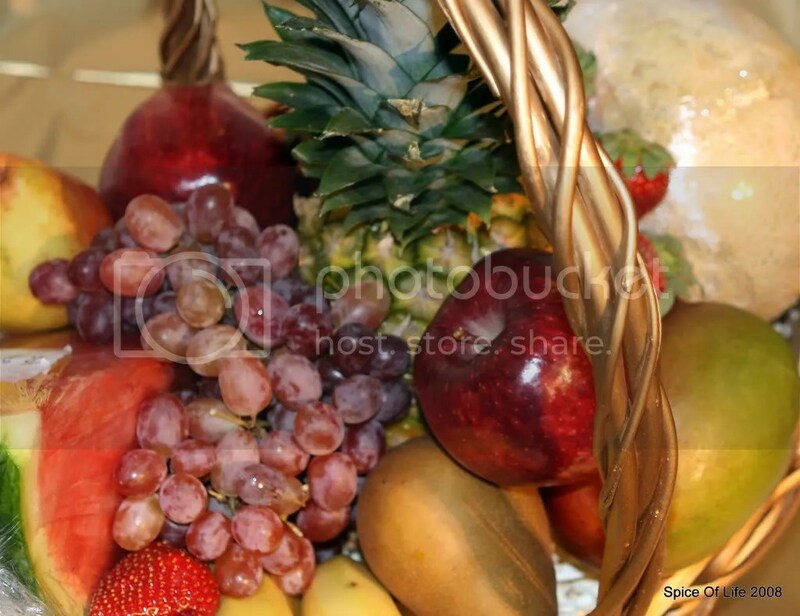 For as long as I can remember, my mother had always made it a point to have a fruit basket/tray for the New Year. 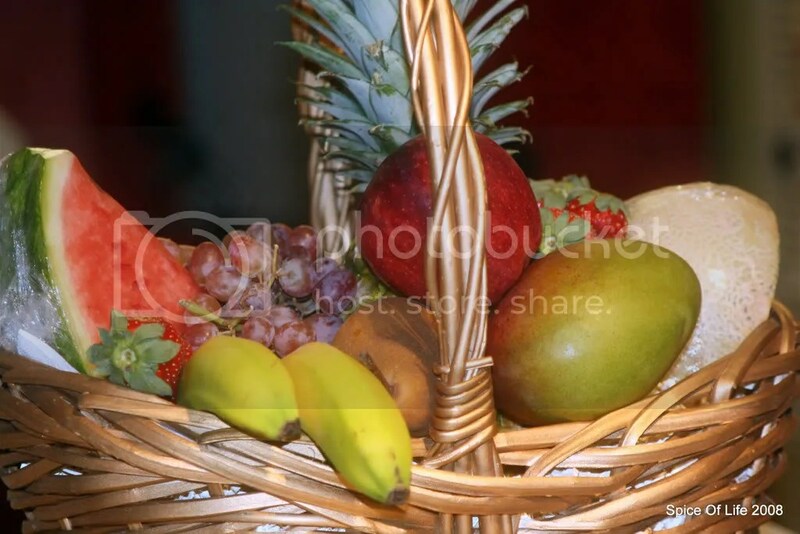 This basket would contain the very select of fruits that she’s able to find in the market. Soon after Christmas, she would start preparing this basket with a lot of TLC (tender loving care). Her goal is to have 12 different kinds of fruits which are to be ripe when the New Year comes along. These 12 fruits were to represent each month of the incoming year, reason why it is important for each fruit to be perfect and sweet. It is a wish for our family to have each month of the year be blessed — and sweet. I call this my Mom’s basketful of blessings. I made one this year, in memory of my mother. So with this basketful of blessings, Joe and I would like to wish you a very Happy , Jesus-blessed New Year. May 2009 indeed be a year of expansion, new levels/heights and divine favors for you and your family! !